Since 2016, Samsung, South- Korean giant launches flip phone every year with dual display. Following the trend of a flip phone from last two years, this year Samsung is planning to unveil a new flip on November 9 in the China market. The company sent the invites to press media for the launch event which is to be conducted in Wuxi, is a city near Shanghai, where Samsung would SM-W2019. SM-W2019 will be the successor of W2018 that was introduced in December in the previous year. To recall, Samsung W2018 came with a dual 4.2-inch AMOLED display panels, Qualcomm Snapdragon 835 SoC, 6GB of RAM, 64GB/ 256GB storage options, supports microSD card as well, 12MP rear camera, 5MP selfie snapper and a 2,300mAh battery. As per the leaked reports, it looks like Samsung W2019 flip phone is likely to come with a Qualcomm Snapdragon 845 SoC. Further, the report claims that it is to be codenamed with "Lykan". A tipster Zyad Atef has shared a teaser image surfaced on the internet recently which suggests that Samsung could unveil W2019 flip phone in China on November 9, 2018. The Samsung W2019 is likely to be bundled with a top of the line specifications including Snapdragon 845 processors, dual rear cameras coupled with Artificial Intelligence (AI) features such as a Scene Optimiser. The upcoming flip would run on Android 8.1 Oreo OS initially and in future upgraded with Android 9 Pie. From the last two years, flip devices have been launched by Samsung in the China market. Samsung had unveiled its first flip phone in China November 2016 with a Snapdragon 820 processor, whereas W2018 was launched in the November 2018. 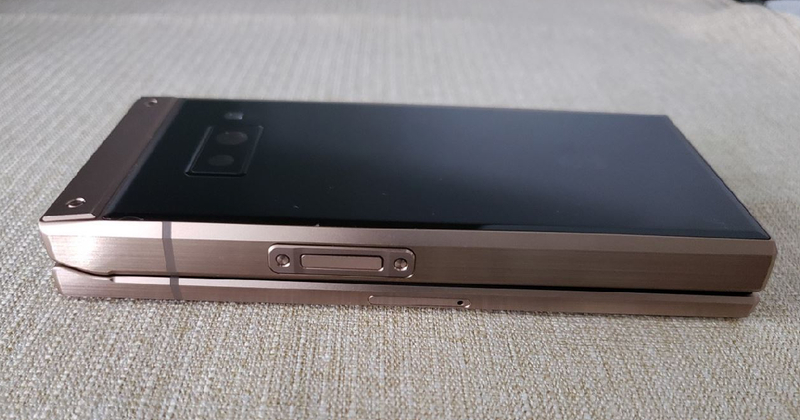 Observing the previous launch date of Samsung flip phone, it is anticipated that Samsung would unveil the upcoming flip device in November 2019. A few days ago the rumored specifications of Samsung W2019 were surfaced on the internet which suggests that company could unveil it by the end of the year but now the timeline of a device i.e., November 9 has surfaced on the internet.